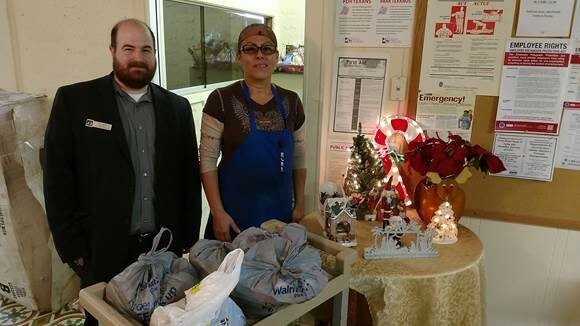 Woodforest National Bank recently organized a food drive to help benefit CCSCT’s Senior Nutrition Program in Guadalupe County and made their first drop off to the Seguin Senior Center the week of December 5th. 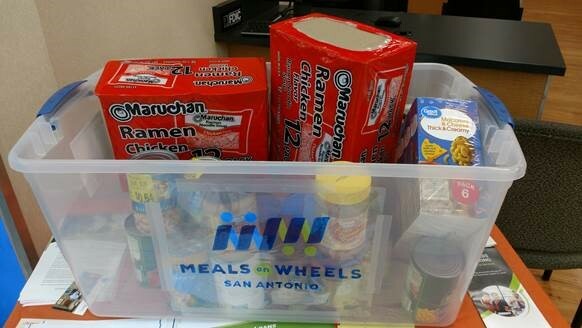 Woodforest National Bank has set up bins at both the Seguin and Schertz bank locations (located in Walmart) and will be accepting donations until the end of December. If you are interested in making a donation, please visit the Woodforest National Bank in Seguin or Schertz.